Hands down, one of the best things to come out of the VR space is the theme of connecting with the world and characters around you. There’s a reason that Moss is not just one of my favorite VR games, but favorite games of all time (well, okay, there are many reasons), and that’s the bond you form with this small character. So what happens when you take Polyarc’s Moss formula of the player entering that world and connecting with a character, and you mix it with Zoink’s special brand of witty humor, deep emotion, and engaging point-and-click style puzzles? The result is Ghost Giant. 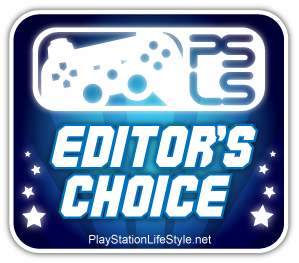 In Ghost Giant, you play as, what else? A giant ghost. The game opens with you looking down upon a small kitten named Louis crying near a small pond. As you reach out to him, he looks up, frightened. Of course he’s scared. You’re a giant ghost after all. After a short period of fear, he begins to warm up to your presence, and even looks forward to not feeling so alone in the world. Much of Ghost Giant consists of helping Louis with his daily tasks. Of course, things go wrong in zany ways (it wouldn’t be a Zoink game without that), and it’s up to you to fix things in ways that only a giant ghost can. The Move controllers allow a tactile feeling within the world. Your ghostly arms extend from your body and you can either poke or pinch various objects (most often denoted by a brass/metallic color) in order to solve puzzles and help Louis. The world has a crafted feeling, like you’re playing with small wooden dolls and dollhouses. It’s a living world though, so it’s fun to lean in and spy on the comings and goings of the citizens of Sancourt. Positional audio means that something in the background can become the main conversation if you lean in and listen closely to what they are saying. As is expected from a Zoink game, the voice acting is superb and incredibly entertaining. I spent as much time just observing as I did actually interacting with the puzzles. As I played through each “scene” which is a level area, I worried that gamification would take over and that I would find myself performing the same old tasks over and over for the sake of moving onto the next part, but Ghost Giant never felt that way. The gameplay constantly evolves and there is enough variation from scene to scene that it never feels like you’re just going through the motions. Everything ties in beautifully to Louis’ story, and to your bond with him. Some scenes will be more puzzle intensive, and others will focus more on the emotional puzzle of Louis, which presents a nice balance throughout. Even on the puzzle-heavy areas though, it’s never difficult. All of the solutions are within reach, quite literally. Even though the levels are relatively small, the visual depth of the worlds extends out far, so this doesn’t feel like a tiny little playspace. Ghost Giant’s world feels like a place I was just dropped into. I wasn’t in my living room on my couch anymore. I was there, in this little crafted world that felt like it never ended. A game that can provide boundaries while also feeling like it has endless horizons is a special kind of achievement in immersion. Pair that with an intense interest in helping Louis, and there’s never a desire to explore beyond those boundaries. My world was Louis. I was Louis’ guardian. I watched over him. I cared about him. His emotions were directly… Well, I don’t want to spoil too much. The story doesn’t have what I would call shocking twists and turns, but the emotion is well-worth experiencing for yourself. Louis is an amazingly developed character, and his voice acting is perfect at playing with the raw emotions his feeling, while also trying to be strong. His journey is a powerful and meaningful one, and I was just excited to be supporting him through it. Ghost Giant also gives plenty of reason to revist the world of Sancourt, from finding the various collectibles scattered around each environment, to hidden interactions that aren’t part of the main story (and can sometimes trigger trophies). Once the game ends, each level becomes a diorama of creative models to explore. You can find silly hats for Louis (and the rest of the residents) to wear. There are pinwheels that you actually blow on using the mic in the headset. There are basketballs to shoot into hoops. And there are little tiny caterpillars to poke. Even when caring for Louis wasn’t my primary goal as a re-explored each scene, the magic was never lost. 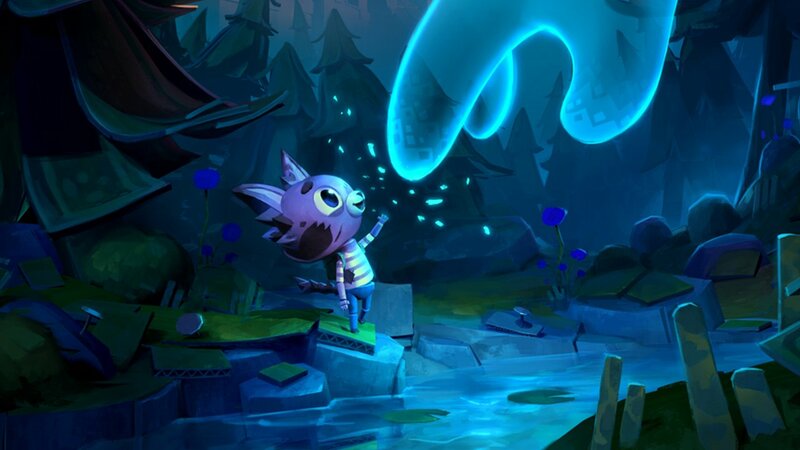 Every little piece of Ghost Giant is crafted with a love and care. And it’s graphically impressive! It never gets that really bad fuzzy jagginess that many PSVR games can have. There were the occasional physics oddities that can occur in PSVR games, like items getting stuck in other objects and the difficulty of throwing a digital basketball into a digital hoop. In fact, any of the puzzle solutions that required me to throw something at it rarely got complete on the first try. It could have done with a little bit more aim assist to guide awkwardly tossing objects that don’t actually exist. This was really my only complaint throughout the whole thing though, and it so rarely came up, it’s not a major detractor at all. For Zoink’s first foray into the VR space, they’ve done on incredible job. 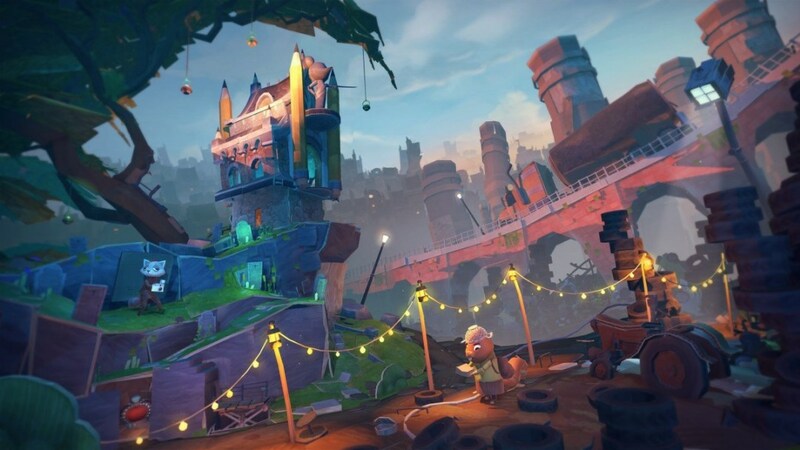 Ghost Giant is one of those unique must-play VR experiences that effectively demonstrates just what VR can do that traditional screens can’t. It’s a game that effectively makes you feel a strong bond and connection with its world and its characters. It deftly weaves between humor and deep emotion, elation and sadness. It’s not a difficult game, but that’s not the point. 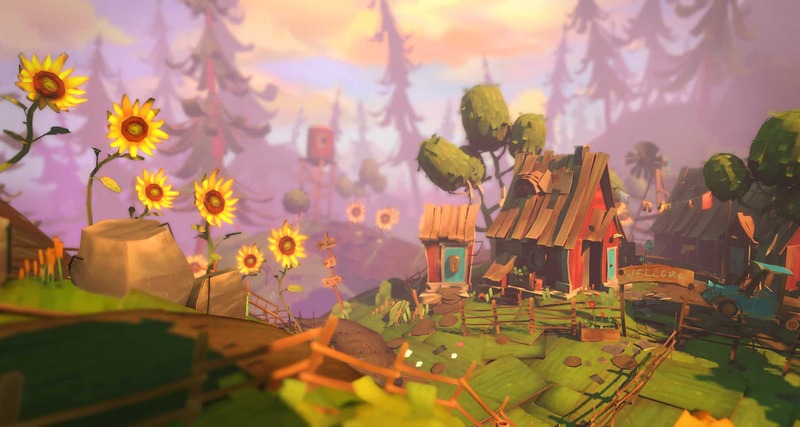 Ghost Giant wants you to play in its world, but also engage with its heart. It’s a beautiful experience that really highlights what not just VR, but games overall, are all about. Ghost Giant review code provided by the developer. Version 1.0 reviewed on a standard PS4 with PSVR. For more information on scoring, please read our Review Policy.